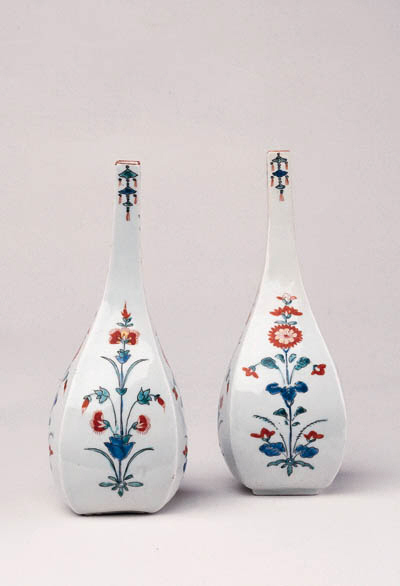 A similar bottle is illustrated in Soame Jenyns, Japanese Porcelain, no. 59C and a pair of similar bottles are in the Royal Collection at Hampton Court, collected before 1694. A Meissen copy of this design, made between 1725 and 1730, is illustrated in Friedrich Reichel, Altjapanisches Porzellan aus Arita in der Dresdener Porzellansammlung, No. 91.